Are you aware that Google released an update in 2018 that affects ranking of your business’s mobile website? Google’s algorithm has always taken into account the speed of your desktop site. It penalizes slow loading websites by not ranking them as well. The “Speed Update” makes page speed an important factor for mobile devices too. Learn everything you need to know about the update and how it may be affecting your website’s search engine ranking below. Google’s new “Speed Update” seeks to penalize slow loading mobile websites rather than rewarding fast ones. 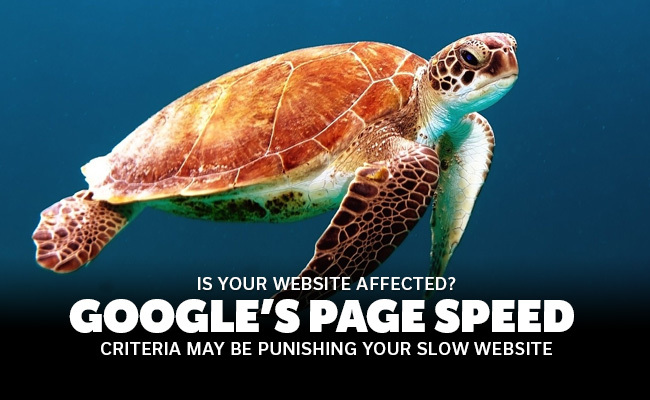 Google claims that the update only affects web pages with the slowest speeds and very few search queries. Basically, although page speed now factors into your ranking, it’s the overall user experience that will make or break your business’s website. Related Post: How important is website load time? Is the “Speed Update” Affecting My Business’s Website? If you’re concerned about your business’s page speed according to Google, you can use the PageSpeed Insights tool to check. However, even this tool became more complicated after the page speed update rolled out. Before, you entered a specific page from your website or your website’s URL into the tool. Then it offered clear criteria to judge the speed of your page. Things like avoid landing page redirects, enable compression, leverage browser caching, minify CSS, etc. Now, the tool offers a whole new view of your website with new breakdowns. Instead of the individual categories, Google uses two main criteria to judge your business’s desktop and mobile web pages: First Contentful Paint (FCP) and DOM Content Loaded (DCL). The FCP metric measures the length of time from when a user searches for your URL to the very first visual response from the page. This literally means any visual response and does not refer to the full loading of a page. The DCL metric measures the length of time from the URL search to when the HTML document fully loads and parses. So the new “Speed Update” makes page speed a vital factor for both your business’s desktop and mobile websites. That means they’re on equal playing ground, right? Wrong. Google released another update in 2018 called “mobile-first” indexing. This update prioritizes your website’s mobile version over the desktop version when indexing and ranking. So now if your mobile site doesn’t load fast enough or offer as good an experience as your desktop site, it negatively affects your desktop site’s ranking as well. 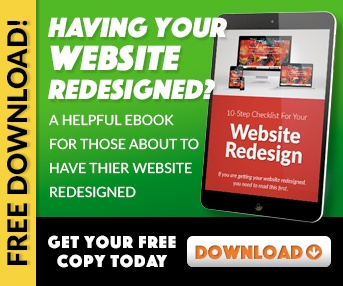 If you haven’t made any changes to your mobile website in light of the change, your website probably isn’t ranking as high as it should. You need to do something about slow loading websites ASAP to keep up with the competition. Especially if they already knew about the “Speed Update” and made changes right away. 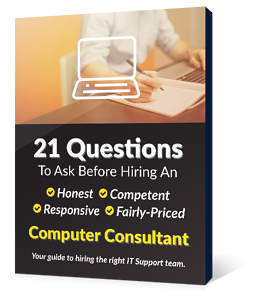 Not sure you know how to do you it yourself or want a professional touch to get the web presence your business deserves? The knowledgeable web design team at EnvisionIT Solutions can help you create a stunning mobile-friendly website that will keep Google happy. Contact them today so you’re not stuck using techniques from last year or even yesterday!